Do our analytics actually work? When we pull meters that we identify as ‘degraded’ are we correct? We tested this with our pilot cities and they pulled meters that our analytics identified. We found that ~90% of the meters we identified were massively misreporting water use. What does our next MVP look like? We spoke with or met with dozens of utilities and experts in the industry to refine our product offering and develop our next MVP. We successfully narrowed down our product offering for 5 hypothesis products to one core product focused on meter degradation. Will utilities pay for this service? This dimension is the most important and, frankly, the dimension we faced the strongest headwinds. When we flew to Tampa, FL and demonstrated our analytics work, we asked for funding for the next phase. It was a small amount but we thought it was important that we start to make the relationship a business one rather than a vague ‘partnership’. The government RFP process is a very long and difficult one to navigate and, though they said they could RFP for the small amount we wanted they were unable to just start paying for legal reasons. A competitive bid was necessary. 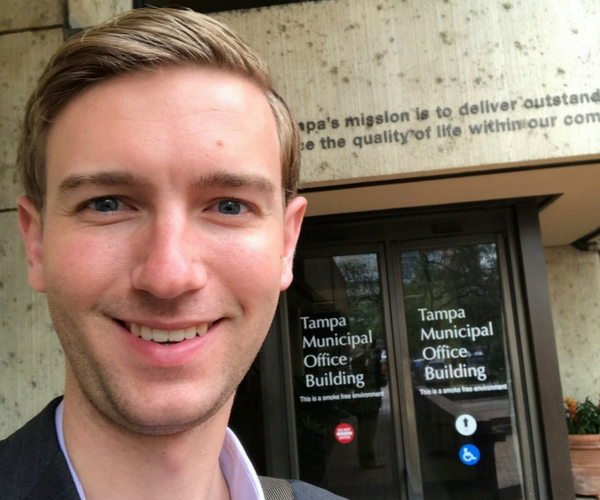 A great “startup moment” was when I was running from our meeting with the water commissioner in Tampa to the train station so I could get to Orlando in time for my next meeting. It was pure chaos and, since our meeting went long due to the positive results, I nearly missed a meeting with a key stakeholder in Orlando. How has your Summer Venture Award mentor, Joanna Gordon Martin, WG’02, helped you? Joanna has been an invaluable help. She was able to secure for us a meeting with the EPA commissioner of New Jersey. We are meeting in the coming week and he is connecting us to more potential pilots in the state. Patenting our proprietary process for identifying and replacing broken meters. We are pushing hard already this school year. CitySense provides analytics services to municipal water utilities to identify and stop water waste. We are passionate about bringing cutting edge analytics to city governments to help cities run more effectively. Having Tampa successfully pull meters that our analytics had identified was a huge success. To that point, we thought our machine learning algorithms were correctly identifying broken meters but to that point we did not know for sure.